To celebrate our preview screening of The Man Who Knew Infinity at Riverside Theatres next Wednesday, we have an amazing prize pack to give away, thanks to Icon Film Distribution Australia. 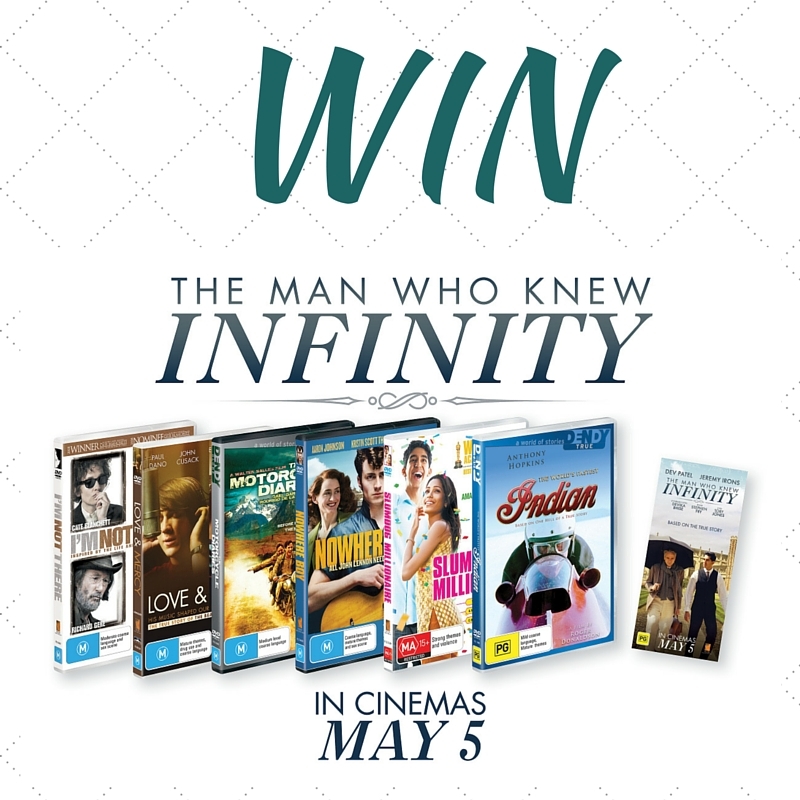 Valued at $140, each prize pack consists of an In Season Double Pass to see The Man Who Knew Infinity and a DVD prize pack consisting of I’m Not There, Love & Mercy, Nowhere Boy, Slumdog Millionaire, The Motorcycle Diaries and The World’s Fastest Indian. To win, simply tell us in the comment section on our Facebook post who plays Cambridge Professor G.H. Hardy in the film. Entrants must also email marketing_riverside@parracity.nsw.gov.au with the subject line MATHS and their full name and address. Competition closes 5pm Sunday 1 May. Good luck!